Infection control is all about preventing the spread of disease. Typically observed in the health care setting, the Centers for Disease Control and Prevention have developed special protocols for dental clinics. Dentists need to care for their patients’ health; this is why they need to work hard when it comes to preventing the spread of infection. Before patients can enter the examining room, the dental chair, the dental light, drawers, cabinets, and the rest of the surfaces inside have to be properly cleaned and decontaminated. 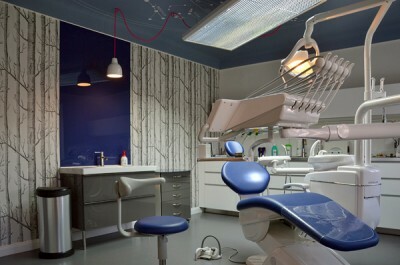 Other dental offices may also opt to cover these surfaces with protective covering, changing them after each patient. Dental tools and other non-disposable materials must be sanitized before each use. Disposables on the other hand, are never to be reused on another patient. The infection control protocol also requires staff and technicians to wear the proper attire. This includes protective garb, as well as the proper eyewear, gloves, masks and gowns. Disposable gloves must be thrown away after each patient. Before each patient, the entire treatment staff must wash their hands properly and put on new gloves. Your dentist and dental staff must prioritize your health and safety. This is why infection control procedures must be observed within the dental office.